Discover more about private investigators capability, employment and regulations in Mobile. ICS provides a full range of private investigator services conducted by experienced Mobile private investigators. ICS is a full service private investigation agency available 24 hours a day including holidays. When you need a private investigator in Mobile, turn to the professionals at ICS and begin your investigation with a free consultation online or by calling (888) 223-6494. ICS provides a full range of investigations services for the City of Mobile and all surrounding metropolitan areas. Submit a free online private investigation consultation form, or call our toll free number to speak to a private investigator at (888) 223-6494. A private investigator in Mobile is not required to be licensed in order to conduct private investigations. However, in order to start a private investigation agency, the business must be registered and licensed with the state of Alabama. You can rest assured that any Mobile Private Investigator assigned to your case with ICS are experienced, reputable local private investigators in Mobile and are standing by to start your case today. The State of Alabama boasts a population of 4.8 million people, and its crime rates are close to the national medians in both categories of index crimes – violent and property. Of the 40.26 index crimes reported annually per 1,000 residents (compared to 33.0 national median), 4.20 are violent and 36.06 are property crimes. Nationally, the median for violent crimes committed per 1,000 residents is 3.9, while property crimes have a median report rate of 29.1. Mobile, the original home of Mardi Gras, accounts for 195,000 of the State’s residents, and is rated as safer than only two (2) percent of U.S. cities. A very high 8.38 violent and 71.20 property crimes are reported annually per 1,000 residents. With such high crime rates, it is obvious that a need exists for additional manpower and resources when it comes to investigations. With a private investigator, such as one licensed by ICS, you can be assured that a highly skilled, experienced professional is dedicated to your case. In order to conduct private investigations in Mobile, all private investigators must comply with local and federal laws. Impersonate Law Enforcement - Private Investigators in Mobile cannot carry a badge, wear a uniform or say anything that might imply that the private investigator is a police officer or federal agent. Make an Arrest - Private Investigators in Mobile cannot legally make an arrest. If there is evidence that suggests an arrest should be made the investigator should contact law enforcement. Do you need a cheating spouse investigation conducted in Mobile, Alabama? Are you located in Mobile but believe your spouse is cheating somewhere else? There could be many reasons as to why your suspecting your spouse of cheating but before jumping to conclusions you should get the proof that you need. Learn more about how ICS can provide you the piece of mind you deserve with a cheating spouse investigation in Mobile. ICS has been conducting cheating spouse investigations since 1967 and have experienced private investigators throughout the world. Call us today and learn more about cheating spouse investigations and find out how we can help you create a unique action plan, tailored to your specific investigation. Are you searching for a missing person in Mobile Alabama? Are you located in Mobile Alabama but believe the person you are looking for is somewhere outside of Mobile Alabama? It can be difficult trying to find a missing person when you feel there is no one to turn to. Often times, police do not have enough time, resources and manpower to conduct a full in depth missing person investigation which causes many missing person investigations to go cold. To learn more about Missing Person Investigations in Mobile Alabama, contact us and speak with a licensed private investigator. We will create an action plan tailored to your specific case to help you track down the missing person you are trying to find. 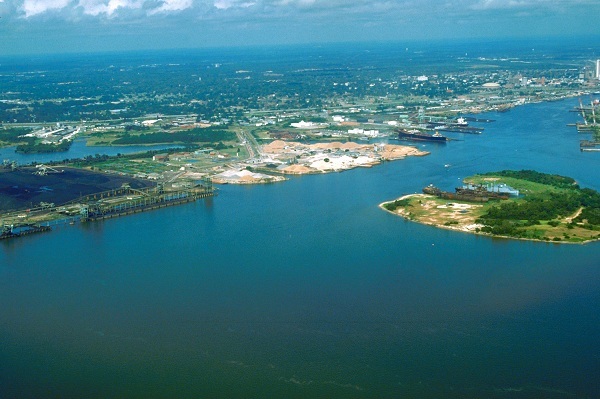 ICS has been performing missing persons investigations in Mobile, Alabama since 1967. Many times child custody and visitation disputes can come up while a couple enters into a divorce. However, many times the judge only has to work with "he said" "she said" and doesn't have much fact to determining who is the more fit parent or what are the best interests of the child. With a child Custody and Visitation investigation in Mobile our private investigators will find the evidence you need to support your claims that will be admissible in court. Don't let your child be put in a situation that's not in their best interest. International Counterintelligence Services has been providing clients with Child Custody and Visitation investigations in Mobile and throughout the world since 1967. Learn more about Child Custody and Visitation Investigations by calling and speaking with a licensed private investigator and find out how we can get your child custody investigation started today. BEWARE!!! Alabama does not require a state license for Mobile Private Investigators. It is extremely important to find an investigative company that you can trust. We have been around since 1967. We have extremely professional Private Investigators working for us who have handled some very high profile cases, and we also have a respectable extensive client list. Only a handful of Private Investigators in the nation can make those kind of statements.